Alexandra Pregel was born on December 15, 1907 in Helsinki, Finland, where her parents lived in political exile from the Czarist régime in Russia. After the Revolution of 1917, the family returned to Russia and her father, Nikolai Avksentev, became Minister of the Interior in the Kerensky government. In 1932, Alexandra participated for the first time in a group exhibition of young Parisian artists, using her maiden name Avksentev (Avxente). 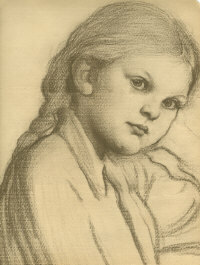 From 1933 to 1940 she exhibited regularly in many group shows. In 1938 her own exhibition was held at the Gallery de LElysee, Paris. In 1937 Alexandra married Boris Pregel, a scientist working in the field of radioactive materials. Following her marriage, she signed her paintings with A. Pregel. 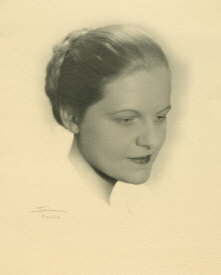 During World War II, Mrs. Pregel together with her husband, became actively involved with the organization of the Friends of the French Republic and with the French Red Cross. The couple fled Paris in June 1940, on the very day that the German army occupied the city. Their apartment had been confiscated. 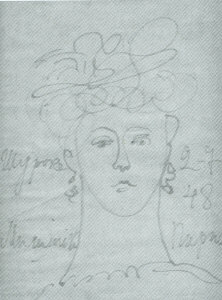 Among the things lost were over 300 of Alexandras paintings and drawings. Alexandra and Boris settled in New York, in a Manhattan apartment overlooking Central Park, which had also become Alexandras studio. - The Art Digest, Oct. 15, 1943. 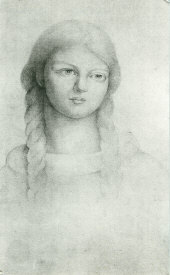 In 1944 Alexandra Pregel was accepted as a member of the American National Association of Women Artists. In the years to follow, she took part in annual exhibitions in New York and around the country. 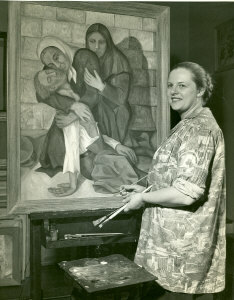 In 1948 she participated, along with known artists such as Georgia OKeefe and Salvador Dali, in the Painting in the United States exhibition, which took place at the Carnegie Institute in Pittsburgh. In 1947 she had her first post-war exhibition in Paris, at the Gallery de LElysee. In the years to follow, Alexandra Pregel took part in annual exhibitions at the Milch Gallery, Wildenstein Gallery, and the National Academy of Design. After the death of her husband, Boris Pregel, the artist nearly stopped painting and participating in exhibitions. Alexandra Pregel died on May 28, 1984, and was buried in New York. Alexandra Pregels paintings are owned by several museums around the world and held in private collections. 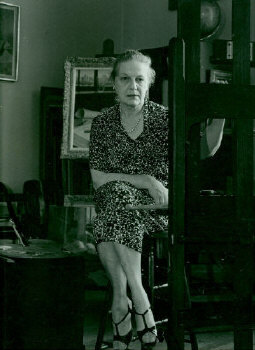 Since the artists death, there several exhibitions (link) of her works--paintings and water colorstook place in the United States, Israel and Russia. 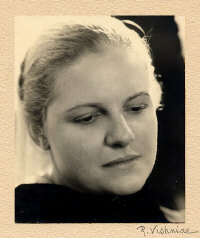 For additional information on the life and art of Alexandra Pregel, please contact Julia Gauchman .